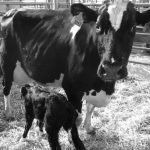 Research Reports are designed to report applied aspects of research from the UBC’s Dairy Education and Research Centre recently published in refereed international scientific journals. Reports are two pages in length and are published three to five times per year. If you would like to receive Research Reports as they are released please send a note and your e-mail address to either Chris McGill (chris.mcgill@ubc.ca) or Jim Thompson (jim.thompson@ubc.ca). 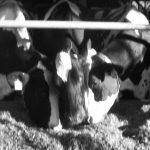 Grooming behavior is expressed by many animals, including cows, and helps them maintain a healthy coat and skin. Cows can groom themselves and herd mates by licking. When housed in naturalistic environments, they also use trees or other structures to scratch parts of their body that are otherwise difficult to reach. When farm animals become injured, farmers must decide whether to treat, transport, euthanize, or use on-farm emergency slaughter (OFES). 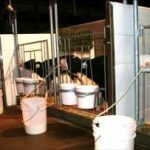 OFES is one end-of-life option for animals that cannot be transported humanely but are fit for human consumption. 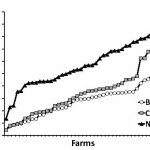 To provide some insight into understanding the public’s views of animal agriculture, we conducted two studies, one asked participants how they would describe the ideal dairy farm and the second where participants were surveyed before and after touring a dairy farm. 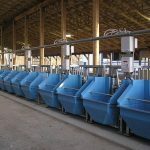 Producers spend millions of dollars building indoor housing for dairy cattle with the aim of providing a comfortable environment for their animals. 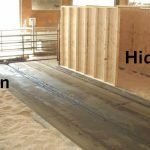 Unfortunately, this housing does not always function well from the perspective of the cow – poorly designed and maintained facilities can cause injuries and increase the risk of lameness. 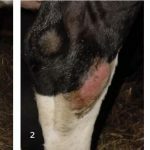 Lameness is now widely accepted as one of the most important welfare and production problems in modern dairy herds.